Fusion Card Challenge ... congratulations on the 2nd year celebration with fantastic inspirations from the designers and guests. My card for this challenge captured inspirations from both the photo and sketch. A purple (fuchsia) colored foil strip is inserted between the pattern paper and white. Also for added interests are purple foil underlay on the flower that captures the idea of the purple plate chargers and the inlaid oval. Gorgeous combo Marilyn! 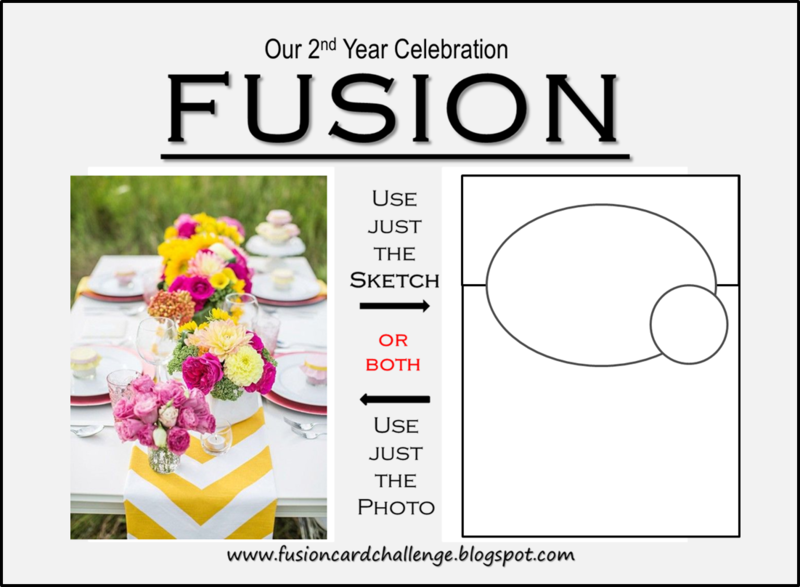 So glad you joined in the anniversary fun @ FUSION!